he name “The Monk’s Cellar” itself is a nod to the brewing traditions of Belgium, a country known for its vibrant beer culture. From his trips to Europe, our founder Andy Klein was inspired to create a place in Placer County where people could meet in a casual, safe environment; where good food and great beer are just part of everyday life. Like the celebrated beer destinations of Belgium, The Monk’s Cellar is not a place where beer is dissected and endlessly analyzed, but enjoyed one sip at a time. 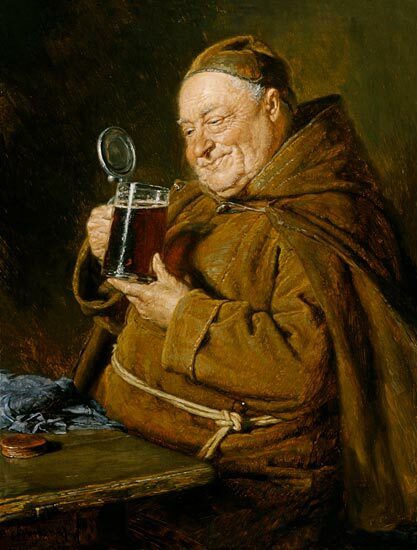 At The Monk’s Cellar our goal is to create a culture where our beer is shared as easily as the conversations, ideas and aspirations of the community. To realize this you’ll not only see our team on your visits to the brewery, but at regional events where we donate our time, beer and resources to build a better, safer, cleaner place we all call home. The Monk’s Cellar is the culmination of more than 30 years of professional brewing, service industry, and restaurant experience by Andy Klein, Peter York and Tom Rotelli. 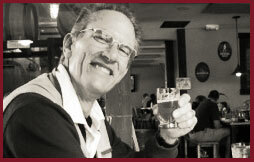 Andy has been a member of the local brewing scene since 1995, when he brewed at the iconic and award-winning Sacramento Brewing Company, where Peter also brewed starting in 1998. The two each moved on to become brewmasters at celebrated breweries like Beermann’s, Western Pacific and Lodi Beer Company. While Tom worked hand in hand with Swiss Restaurateur Roberto Ruprect and local celebrity chef Aldo Bavarvo at the Sacramento Capital Club. Deciding it was time to open his own place Andy partnered with Tom on the business and brought in Peter to collaborate on the brewing. With complementing strengths in the brewhouse and restaurant there is little doubt that Andy, Tom and Peter will put out beers and food to impress any palate. Andy has been part of the region’s craft beer industry since 1993 when he was Bar Manager for one of the original craft beer bars in the region, Roseville’s River Rock Cafe. His passion for beer affirmed, Andy graduated from American Brewer’s Guild in 1996 and immediately began working at Sacramento Brewing Company – a fixture in the region’s craft beer scene for years. In 1999, Andy went on to work at Beermann’s Beerwerks in Lincoln and Roseville, a job that had him on the brew deck, restaurant and delivery truck – doing everything a brewer could do. 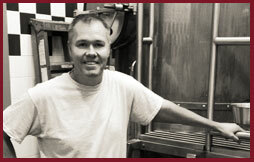 In 2008 Andy opened Sacramento Brewing Services, where he was afforded the opportunity to brew for regional micro-brewers. 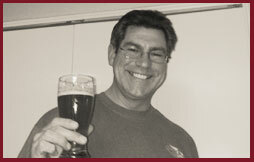 In total, Andy has more than 80 medals and awards from sanctioned commercial brewing competitions under his habit. To say that Peter York grew up appreciating subtleties in quality and flavor would be a gross understatement, as his father was a world-renowned professor of Food Science at UC Davis. While his upbringing instilled a deep appreciation for fermentation and taste, Peter officially began his commercial brewing career in 1998, apprenticing with Andy at Sacramento Brewing Company and ultimately becoming the Associate Brewmaster. Since then Peter has played various roles in the industry and has been the Brewmaster at Lodi Beer Company for some time, racking up his share of awards and honors as well. Together our brewing team brings experience, leadership and know how rarely seen in a microbrewery. We think you’ll appreciate the years of experience and knowledge Andy and Peter bring with each sip of the delicate, full-flavored beer we pour. Outstanding service, gracious hospitality, and flawless execution are the persistent values that Tom Rotelli brings to The Monk’s Cellar. An avid home chef and long-time home brewer, Tom is an engineer by training, and he brings those disciplines to the kitchen and front of house. Tom isn’t your typical “home chef”, either. Having worked with the likes of Roberto Ruprecht (Swiss restaurateur), Aldo Bavarvo (Sacramento celebrity chef) Tom has proven skills, passion and a keen appreciation for our region’s diverse home-grown ingredients – game, produce, locally-sourced pork, beef and much, much more. In addition to the kitchen talents, Tom is actively involved in regional charities – giving back to his community by serving on the board of the Golden Empire Council of the Boy Scouts of America and on the board of the Sacramento Tree Foundation. *Limited food menu 1 hour before closing. © 2019 The Monk's Cellar. All Rights Reserved.